Moving to Monterey is something a number of people do each year. They do so for the mild weather, to be close to the Pacific Ocean, the open space, and for a slower pace of life. How many people live in Monterey? The county of Monterey has about 415,000 people located in rural areas, towns, and cities. Salinas is the largest city with approximately 155,000 people. There are also a number of small towns like Sand City which has a population of only 300 or so. 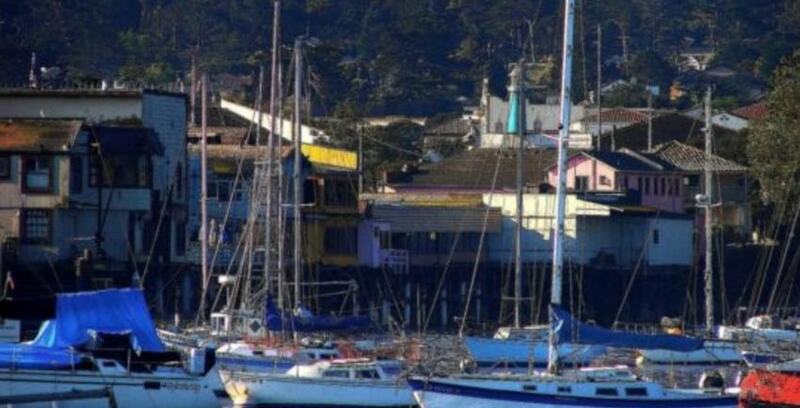 The median home value in Monterey is about $520,000 and the average rent is around $1,995. There may be a few condos for less than $400,000 and some mobile homes for $200,000. Cheaper rents can be found in places like South Salinas, where there are some apartments for less than $1200. If you are open to a shared situation, there are rooms in homes for less than $1000. Moving to Monterey might be a good choice for a family living in a big city like San Francisco, San Jose, Los Angeles or Oakland. Housing will be much more affordable and there will be less traffic, less air pollution and less noise pollution. The public schools are rated above average, and some have high ratings like Carmel High. As you might expect, Monterey County has plenty of seafood and many other restaurants to support the droves of tourists who visit each year. If you are one of the folks who are moving to Monterey, the food options just may turn out to be delightful. Monterey is a world-famous destination for tourists, perhaps mostly because of John Steinbeck’s influence. Cannery Row today is nothing like it was in his day, and it mostly is a commercial venue. The Monterey Aquarium is another of the most visited places, and deservedly so. It is a very pleasant experience and has many exhibits. The Pacific coastline right outside is another major attractant where you might get lucky and observe some sea otters. Of course, Carmel by-the-Sea and Big Sur are very popular too. Carmel is a very small unique town with a lot of history and Big Sur has spectacular views. Pebble Beach is very near Carmel as is Pacific Grove. Coastal scenes abound with marine wildlife and tide pools. Carbone’s sometimes has live music as does Schooner’s Coastal Kitchen & Bar. The Golden State Theatre also has live events and is much larger. If you like live theater, the Paperwing Theatre Company stages plays in a small, intimate space. For movies, there is the Monterey 13, which shows typical mainstream Hollywood films. Golfing is also available, although it can be pricey depending on which course you want to try. Del Monte and Bayonet might be good options for the budget-conscious. Fort Ord Dunes State Park is in Monterey too and is quite an expanse of sand right on the water. If you wanted an educational experience south of Monterey on the coast, you could visit Esalen. Tassajara Hot Springs and Pfeiffer Big Sur State Park are somewhat close to Esalen. Boat trips for whale watching, fishing, or just being on the water are popular with people who like these kinds of activities. If you prefer to get away from Monterey and head inland, Yosemite National Park is about 191 miles by car. Pinnacles National Park is much closer, at one hour or so. There is an Amtrak train station in Monterey, so you can take a train out to a variety of destinations. Monterey also has a regional airport serviced by carriers like United, Alaska, and American Airlines. If you are driving, Highway 1 is the choice for driving next to the coast. There is also public transportation through Monterey-Salinas Transit. In Monterey, there is also a free shuttle if you don’t want to do that much walking. Because of all the tourists visiting each year, traffic can become dense around the aquarium and Cannery Row. However, permanent residents are aware of which areas to avoid, so traffic generally is not nearly as congested as Bay Area roads are. If you want to visit churches in Monterey, you might be pleased by what is available. San Carlos Cathedral is a historical landmark, and it is reputed to be the first cathedral in California. Carmel Mission Basilica is also very old and probably would appeal to those interested in history and architecture. It is free on Sundays. Church in the Forest is another unique venue — one that is non-demoninational. Shoreline Community Church is one of the largest in the area. If you are more interested in a spiritual perspective, than a religious one, there is the Center for Spiritual Awakening in Pacific Grove. Yes, and we storage properties in Marina, Sand City, Carmel, and Salinas. Monterey has a community hospital and a number of clinics. Nearby Salinas also has two hospitals. So, after reading this article, are you still interested in moving to Monterey?